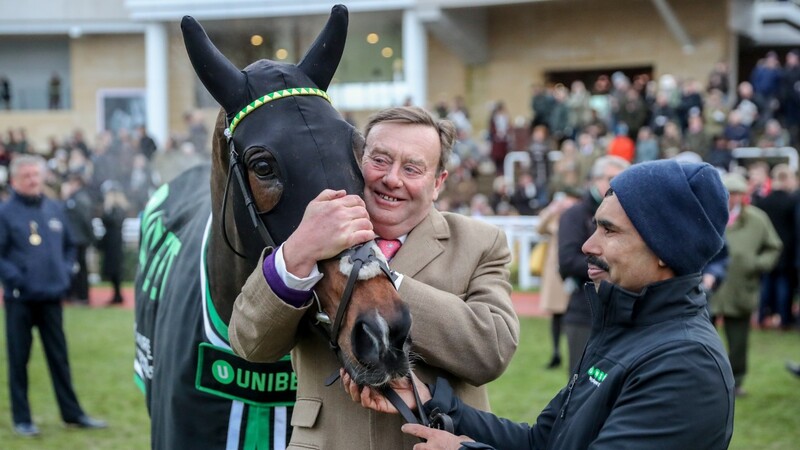 Three-time Champion Hurdle runner-up My Tent Or Yours has been retired at the age of 11, trainer Nicky Henderson announced on Sunday. My Tent Or Yours won two Grade 1s – the Fighting Fifth and Christmas Hurdle – and earned more than £800,000 during a highly successful career. Henderson, writing in his Unibet blog, said: "It is with great sadness I have to announce we have decided to retire dear old My Tent Or Yours. "He has been a really special friend to all of us here at Seven Barrows, and [head lad] Corky Browne absolutely adored him, but his old joints were starting to get a little bit rickety and when he’s galloped around for so many years like he has, the wear and tear starts to show so he deserves an honourable retirement. "Luckily nobody retires horses better than JP [McManus] and he can now join all his old friends like Binocular and the rest of the pensioners at Martinstown, where he will be looked after like nothing else on earth – of which he deserves every bit of it." My Tent Or Yours' two top-level victories came five years ago in the space of four weeks. He beat Cockney Sparrow in the Fighting Fifth at Newcastle before getting the better of a memorable head to head with The New One in the Christmas Hurdle at Kempton. He was runner-up in the Champion Hurdle for the first time that season, a finish he repeated in 2016 and 2017, and in his 25 runs was remarkably consistent, winning nine times and finishing in the first four every time. Henderson added: "People have said he is the best horse never to have won a Champion Hurdle and I think they’re right. "As well as that he won a Grade 1 Christmas Hurdle and a Grade 1 Fighting Fifth, but he really had his day in the sun when winning the Unibet International Hurdle last December. "That was a fantastic performance and the appreciation he received from the crowd was quite remarkable. It was a day I’ll never forget."